Concept 10 10 is all about results! 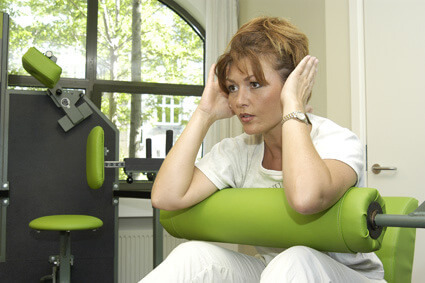 The training is unique and very productive, giving the client the most positive results in the least amount of time (20 minutes, once a week). Concept 10 10 is scientifically based, implementing the truth about exercise and nutrition without all the myths and nonsense so common in the regular gyms. Many people are skeptical at first, but once given a start session, they are hooked and after experiencing great results from the program, they begin referring Concept 10 10 to their friends. All necessary tools etc., are provided. No specific background needed. Our main target group is the person who wants a professional and productive supervised training with quick results (20 minutes, once a week). Concept 10 10 has proven results for those suffering with back pain, and we are recommended by chiropractors and doctors worldwide. Because of the time and convenience, Concept 10 10 is perfect for the time crunched professional as well as the leisure person. Required area is approximately 1000-2000 sq. feet. There are also possibilities of being granted an Area Developer License or Master License. Want to learn more? If you would like more information on the requirements and opportunities involved in starting your own licensed Concept 10 10 business, we kindly ask you to fill out the Request Info form and we will contact you right away.